They said we are afraid." He pushed them, and they flew"
Thank you for visiting my site on here you will find regular updates about the work I am doing, as well as uploaded videos, meditations, spiritual writings, colour therapy, and regular feeds from my facebook page (which is called Angelic Celestial Colours). My main guide is Archangel Metatron, although I am also a channel for other Angelic and Ascended Master energies - including Mary Magdalene, Christ and Mother Mary. "I would like to express my appreciation for you and Metatron and your spiritually healing videos and readings which you share so frequently on You Tube. They are often so profound, tuned in, deep and expansive..clarifying human issues in an uplifting way filled with grace. Thank you"
Here on this website you will find my popular and powerful range of Archangel Metatron and Ascended Master Healing sprays that are hand made by myself and Tracy Eden and which can be used for a wide range of issues to maintain and boost wellbeing. They harness the power of Colour Therapy and Angelic energy and are truly magical. There are over 40 different types at present to choose from - go to my shop to see! "Metatron Colour Healing' is a method of healing that channels the transformational energy of Archangel Metatron using Colour and Light to restore, replenish and upgrade the whole body matrix made up of physical, emotional, mental and spiritual layers. It does this via working through the extended chakra system which in turn disperses the energy to wherever it is needed - it is an intelligent energy and knows where it needs to go. The Metatron energy is channelled via the higher chakras down through the healer to the client - as such the light emanates from higher realms but is anchored to earth by the energy of Archangel Sandalphon who grounds and ensures it is compatible with earths energy field and that of the individual. It uses both hands on healing as well as work within the aura to help maintain optimum health. The body responds naturally to the vibration of light and it has the ability to enter at cellular level to bring lasting change and recovery. 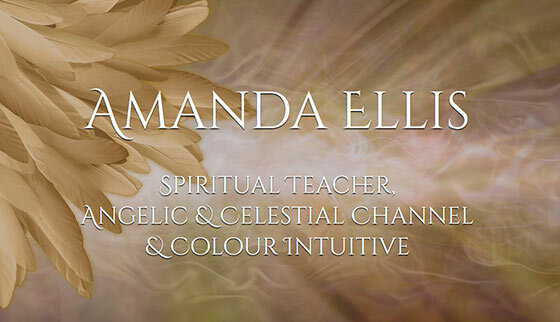 The client often experiences Metatron and Sandalphons energy via seeing colour, geometric shapes (Sacred Geometry is also used by the Healer), and a huge variety of sensations that always ensures the client feels 'lighter', relaxed, connected to their true self. Guidance is usually given by the healer in terms of next steps to take as the Metatron energy is always about moving you on to be all you came here to be. If used to treat physical illness you will be shown underlying emotional patterns that may have helped contribute to the illness itself. These will need to be worked on layer by layer till full health is restored. Colour can be incorporated in a number of ways during a Metatron Healing session - eg through the specially designed Metatron Aura sprays, as well as Coloured Silks, Crystals, Visualisation and Colour Breathing where appropriate. You are required to empower yourself with Metatrons love, guidance and light to break free from old patterns, habits, behaviours etc and start the journey back to health, happiness and contentment. It can also be used as a wonderful tonic and 'pick me up' whenever an infusion of light and love is needed to support your journey through life. Metatron Healing is recommended for many other issues including Ancestral, Past Life, Karmic, Inner Child and many other areas that can arise. A list of qualified Metatron Colour Healers is listed on this site under Metatron Training. This site explores the energy of Archangel Metatron and the language of colour, sacred geometry, and symbols that flows through his energy. As a teacher of Metatrons energy whatever I do, say or post on these pages that follow is inspired by his nudgings and voice - which I hear loudly and with clarity. I hope to help you also find the reassurance, love and support that this relationship brings. 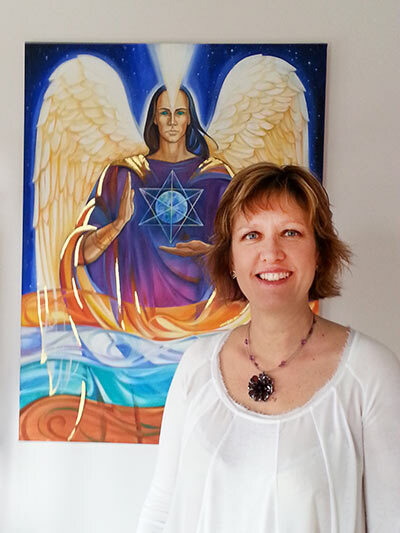 For, to invite in an energy as sacred and pure as Archangel Metatron, is a blessing in life. His is the energy that we and the world need right now - as we evolve into a better species and a kinder, more just world - where we realise we are all connected, and the truth lies inside of each of us. Archangel Metatron is the bridge that helps us and the world with this transition. I hope you continue to walk beside me and Metatron and that we can help guide and enlighten you going forward. This may take many different forms and I have clients that come to me who take what they learn into Counselling, Life Coaching, Working with Children, Artistic and Creative Pursuits, Healing and a number of Holistic Therapies, as well as the Corporate world and environment. If you are new to working with angelic energy don't let that put you off - essentially Metatron is an energy - that you can link into, but the language and nature of it is unique to every single person. Often people are not aware that such energy has been working in the background of their lives for many years - they just hadn't labelled it 'angelic'. Having said that Archangel Metatron hates to be boxed in or labelled - 'he' is simply a source of empowerment that helps you be the best you can be. It is applicable to all. "Amanda...just to acknowledge your lovely groundedness and transparency. You speak from where you are with no pretence, with simplicity (even amidst some difficult ideas to message), with genuineness, authenticity, and boundaries intact. It is quite obvious that is who you are as a person. You simply ARE. It is...Thank you for walking your talk"
"Amanda, again you have held a torch for me in a very very dark moment. I am truly grateful to you for your spiritual guidance and playing such an important part in my journey. I am in awe of your gift of the spoken word, and the ability to speak so fluently from the heart. I know Metatron plays a big part and I thank him too. Thank you for supporting me, and holding a non judgemental space. I know what I have to do now"
Videos Catch up on my latest videos! 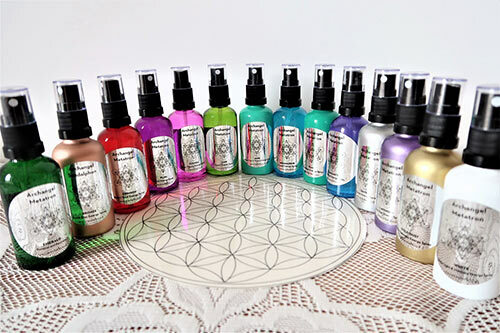 Metatron Energy SpraysThe 23 Archangel Metatron Energy Sprays! Distance LearningArchangel Metatron Distance Attunements & Teaching ChakrasThe Chakras and Our Energy Body Gift Vouchers The perfect gift!